This is among the most popular and often used pieces at weddings and recitals. The simple accompaniment combined with the famous flowing melody makes Ave Maria a great choice to feature the English horn player throughout. 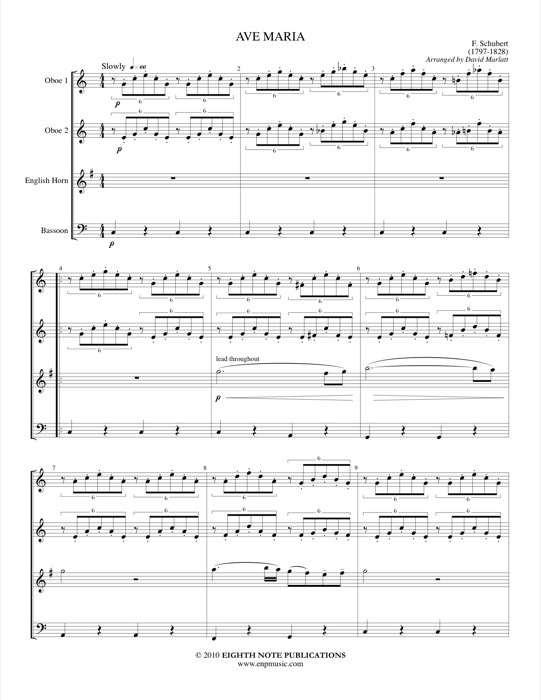 This has been arranged for a double reed ensemble consisting of 2 oboes, english horn and bassoon.